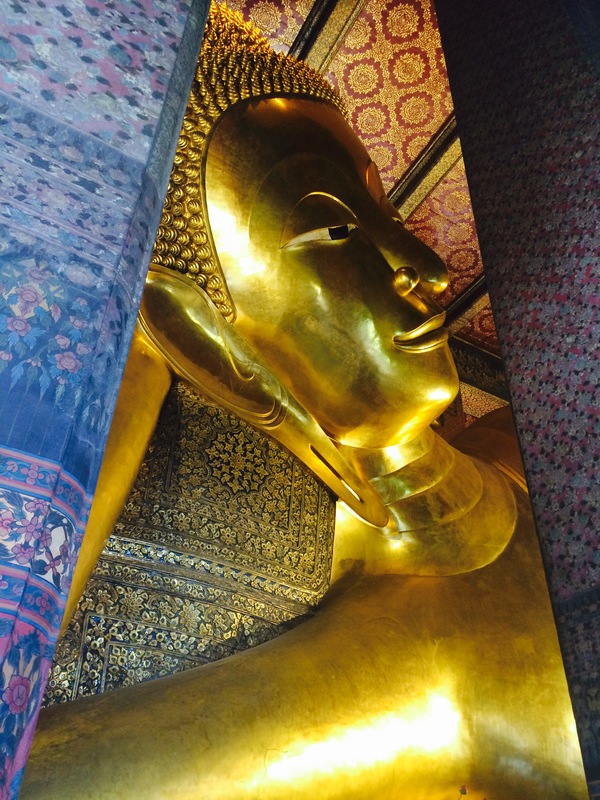 If you can cope with 34 degree heat, wearing multiple layers of clothing to ensure you are not exposing any skin as a mark of respect in such temperatures, and handle hordes of eager tourists clambering over a UNESCO World Heritage site in pursuit of the ultimate selfie – a visit to Wat Pho should rank highly on any Bangkok must see list. The complex stands on the site of an older temple dating to the Ayuthaya period and more specifically the reign of King Phetracha (1688 -1703), but did not exist in its current form until the time of King Rama l who ordered the renovation of the site in 1788. 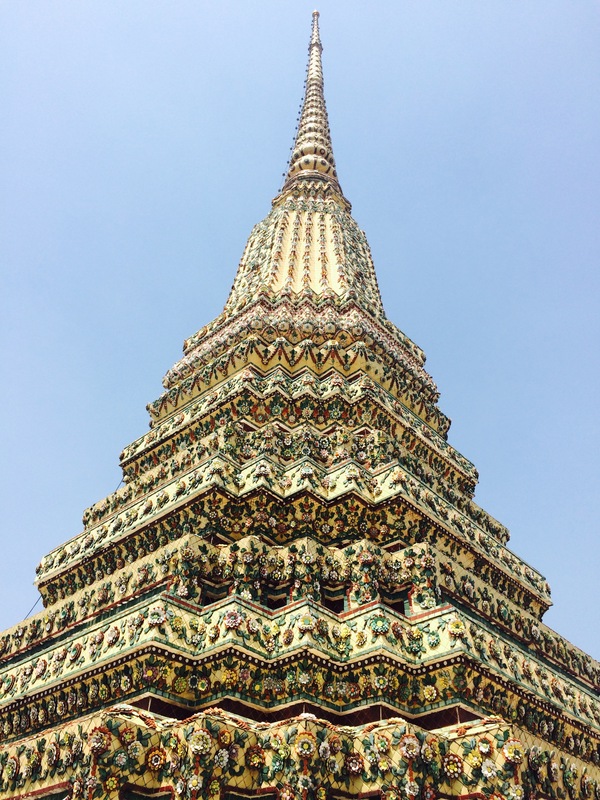 It underwent further development under Rama III and Rama IV in the 1800’s including extending the site and the construction of the fourth great chedi building. 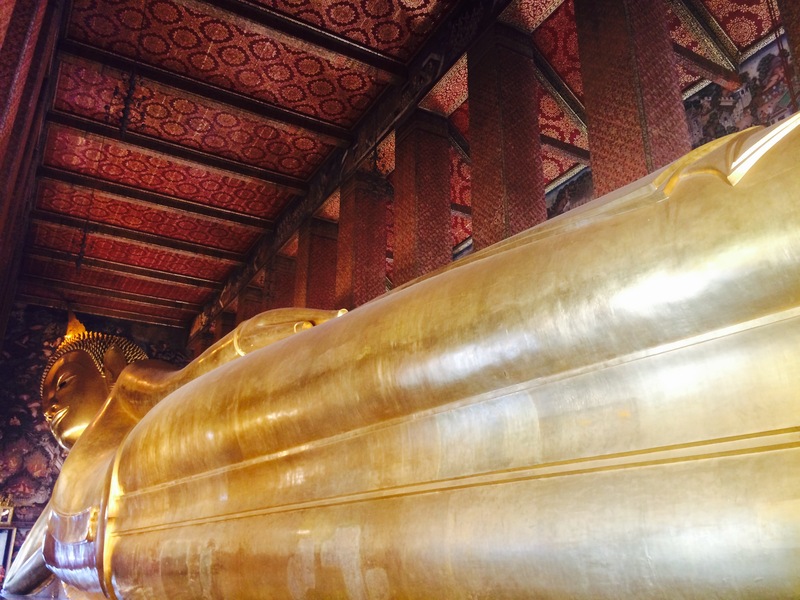 Today the site is most famous for housing the giant statue of the Reclining Buddha which measures a staggering 46 metres long and 15 metres high and is covered in gold leaf. The temple itself is also decorated in detailed murals and contains 108 bronze bowls (representing the 108 characters of Buddha) along the walls, and visitors can purchase a jar of coins to drop into these bowls which rings through the hall adding to the atmosphere. 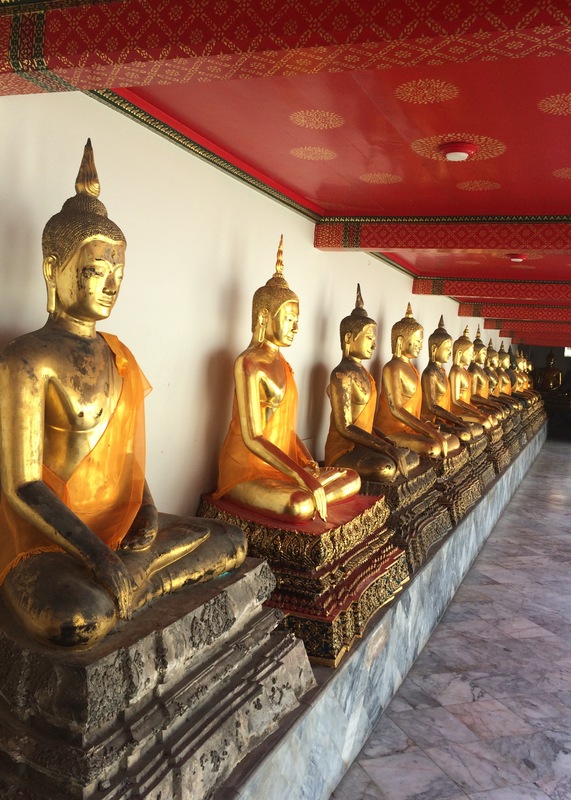 In addition to this giant statue, the complex is home to a further 394 Buddha images collected from various sites across Thailand which are positioned in impressive rows under various colonnades. There are also 91 stupas (or chedis); 71 containing the ashes of the royal family and 20 larger ones clustered in groups of five containing the relics of Buddha, all of which are wonderfully colourful and elaborately decorated with ceramic tiles and flowers which glisten in the sunlight, making it an extraordinary complex to explore.